With the start of the sports season for many codes including AFL, Netball, Rugby League and Rugby Union, it is vital that clubs have adequate post padding to protect players and avoid serious injuries. AFL: Minimum Post Pad Height: 2.5m. Minimum Post Pad Thickness: 35mm. (Realistically most post pads start at a minimum 50mm thickness with 3.0m high pads being used in major stadiums). Netball: Post Pad Height: 3.0m. 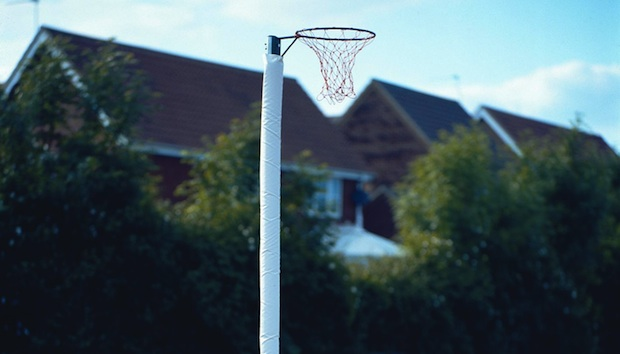 2.4m high for modified Netball (NetSetGO). Maximum Post Pad Thickness: 50mm. 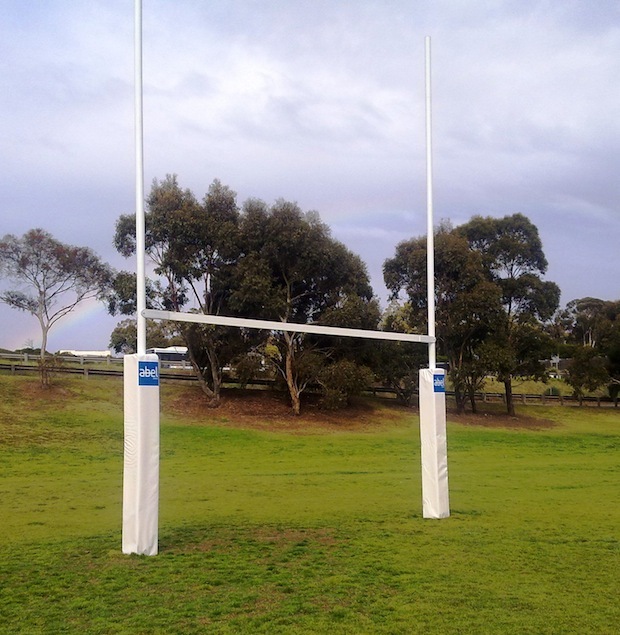 Rugby League: Post Pad Height (State Level) : 2.0m. Lesser heights permitted for Regional & Local leagues. Rugby Union: Padding from distance of goal line to external edge of the padding not to exceed 300mm. “At Abel Sports we have a complete range of post pads to suit any code’s requirements, and as a special offer for the month of April we are offering significant discounts across our range of either standard or custom printed post pads. In addition, Abel Sports also can supply Post Pad Wraps. Abel Post Pad Wraps are a great way for clubs to display sponsor or club logos on their post pads without the expense of buying new custom printed post pads – ideal for when there is a change of sponsor or new sponsors are added”. For more information on Abel’s Premium Quality Range of Post Padding contact Shane Parton on 1300 193714 today.